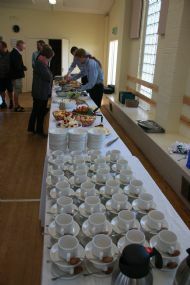 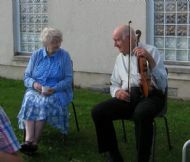 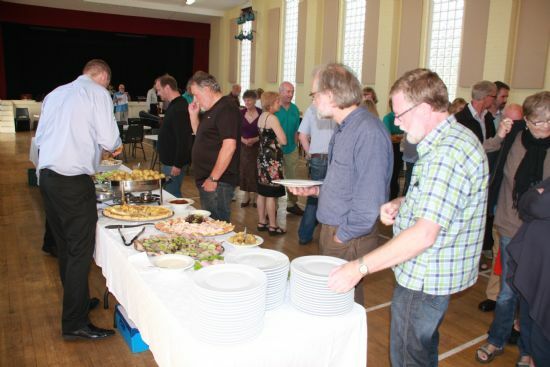 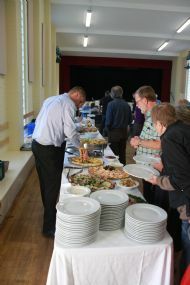 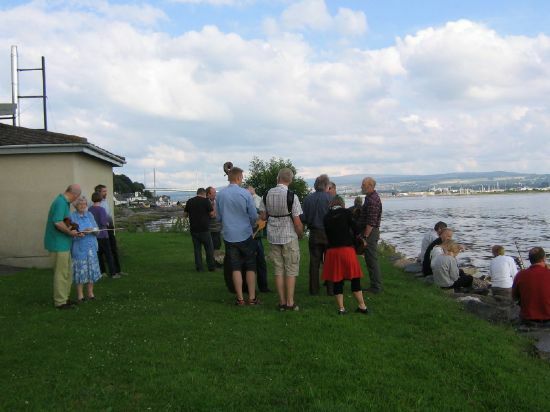 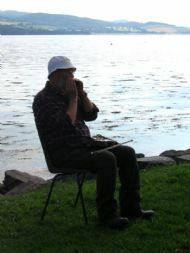 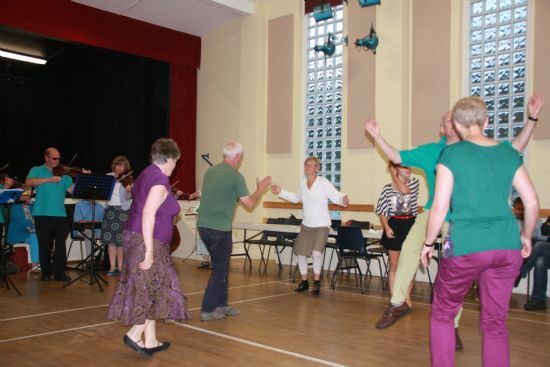 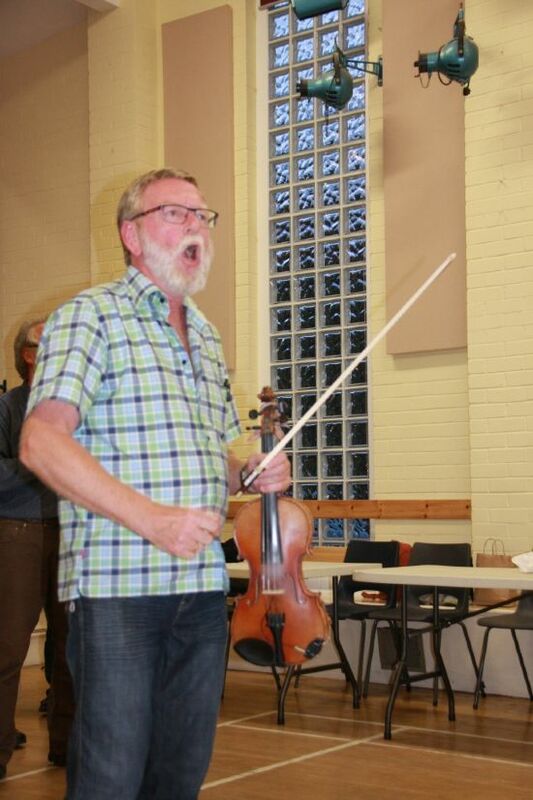 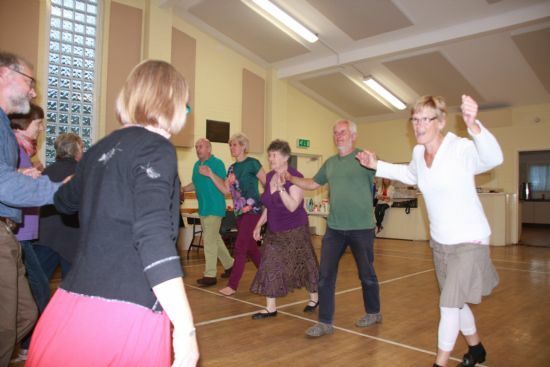 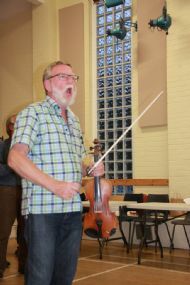 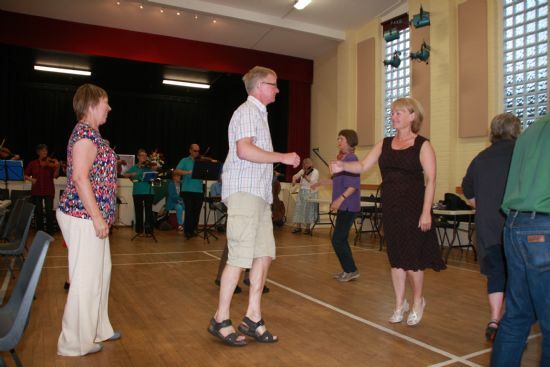 We were delighted to be hosts to Danish group Jelling Spillemandslaug on Thursday, 26 July 2012. 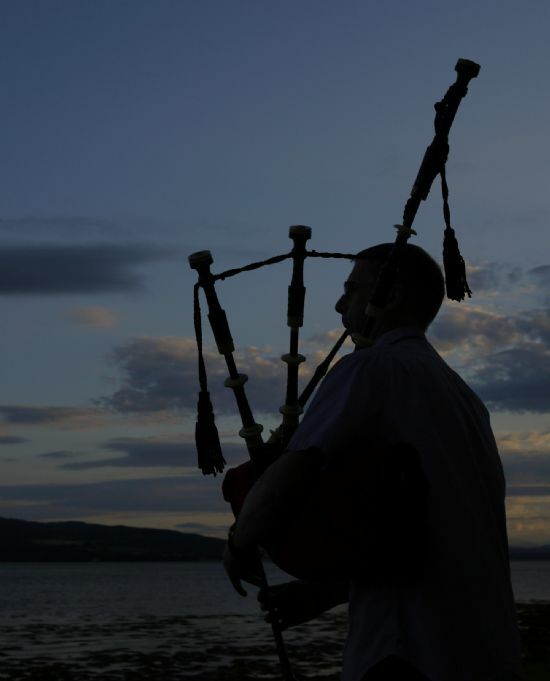 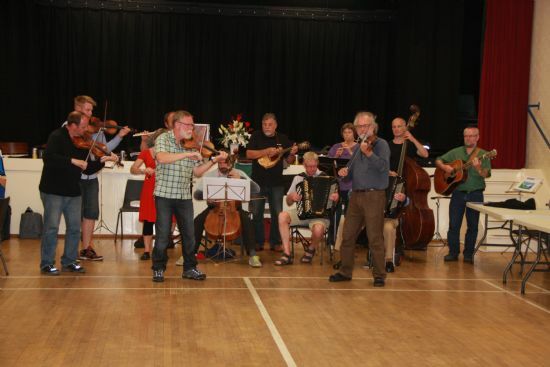 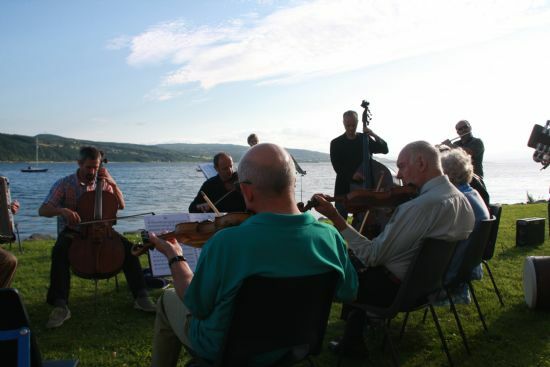 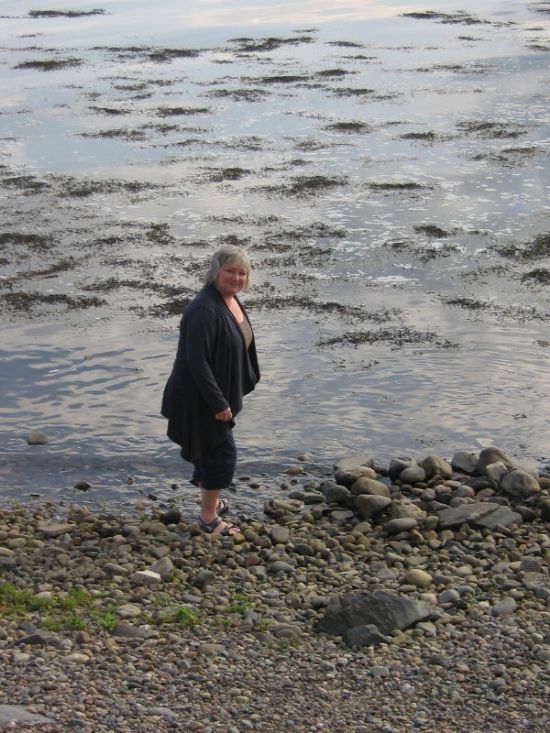 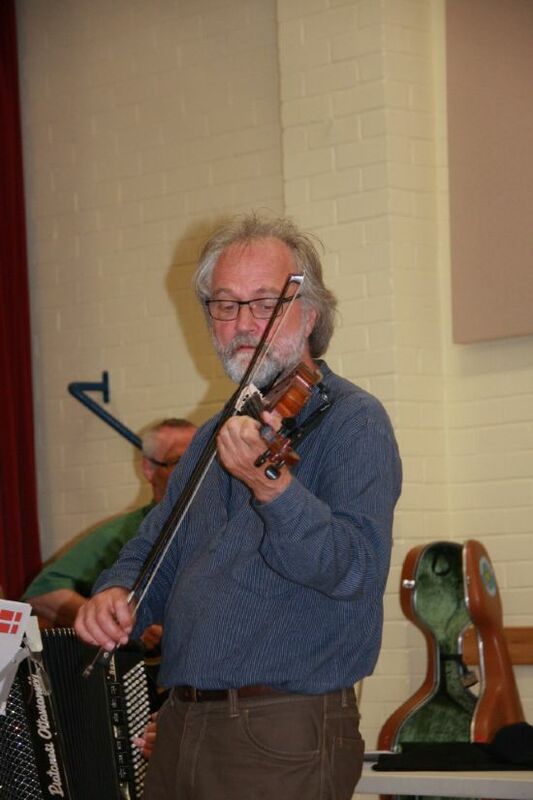 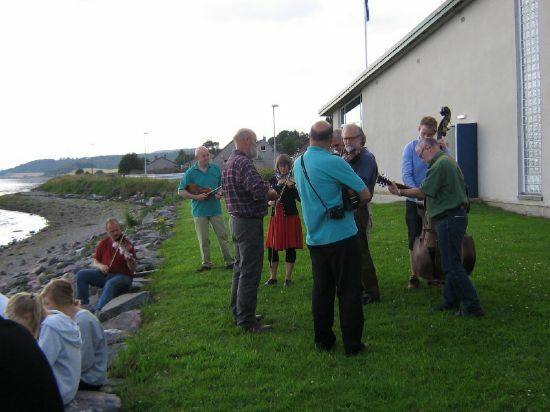 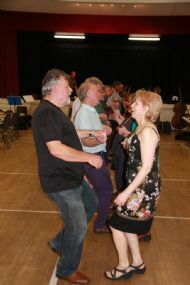 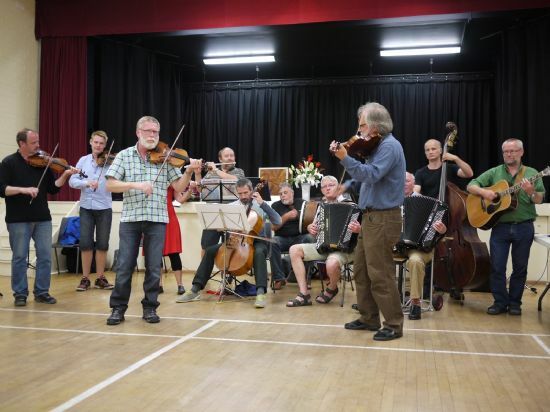 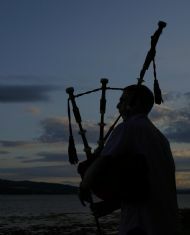 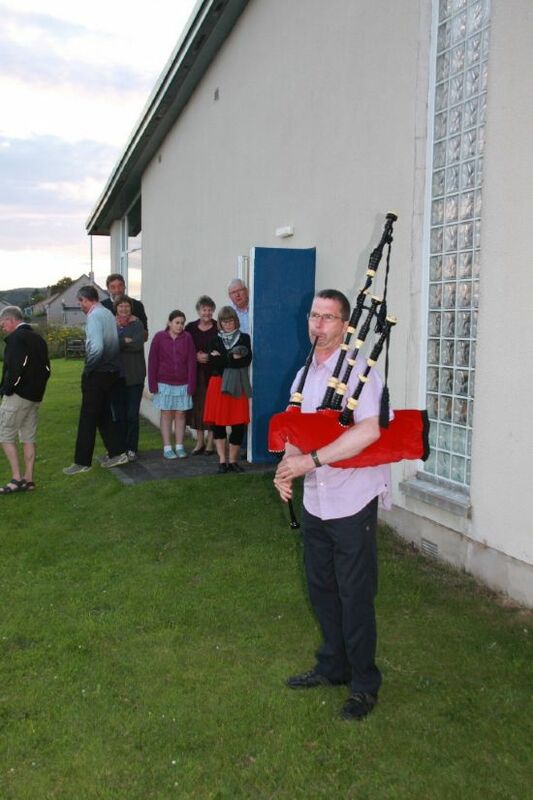 The group were visiting Scotland for just over a week and were based mainly in Ullapool; playing and touring locally. 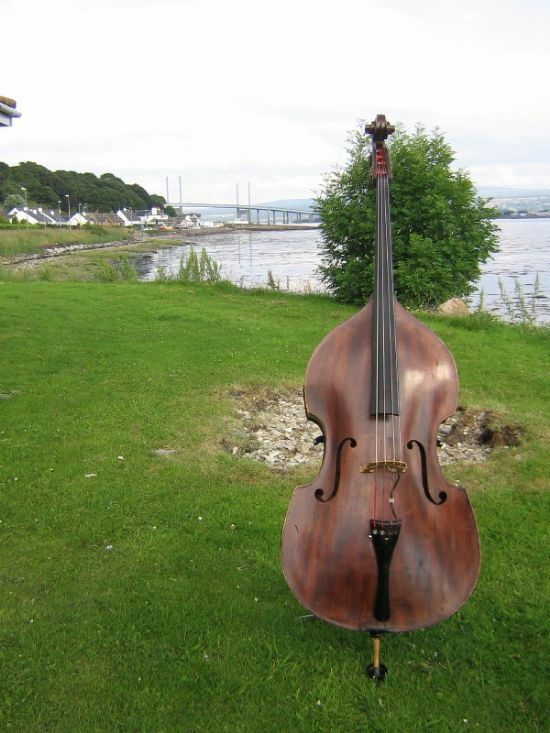 Simon Gunn headed over to Ullapool early on the 26th and transported the group and their instruments to Inverness by minibus. 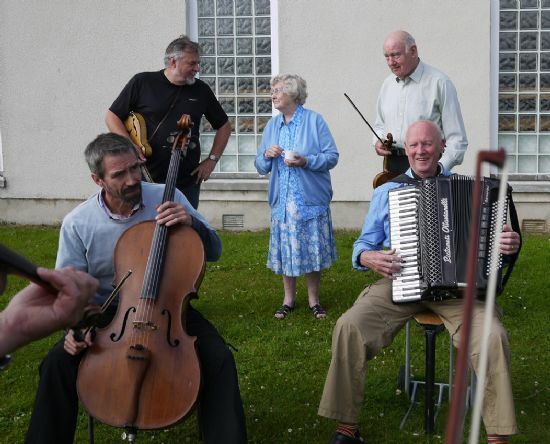 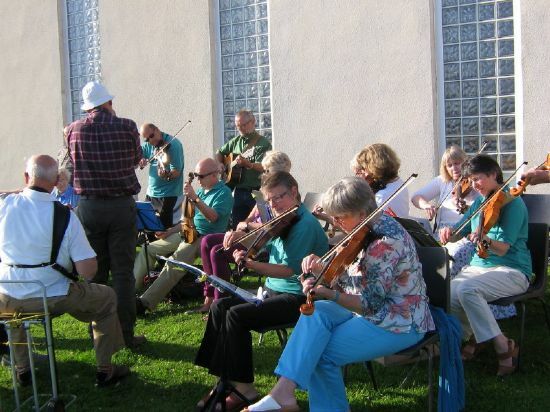 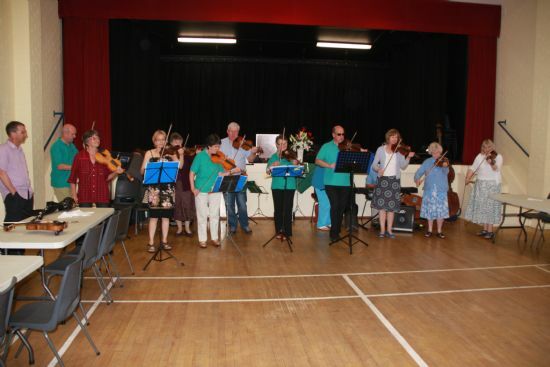 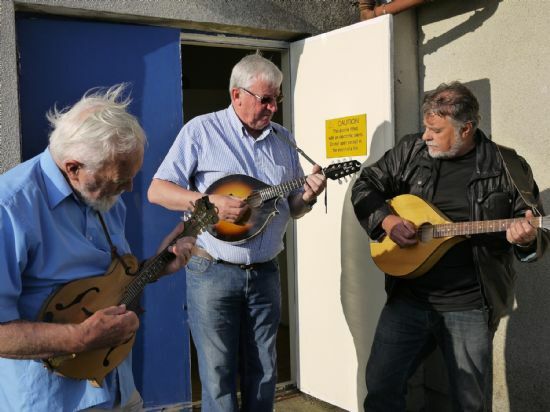 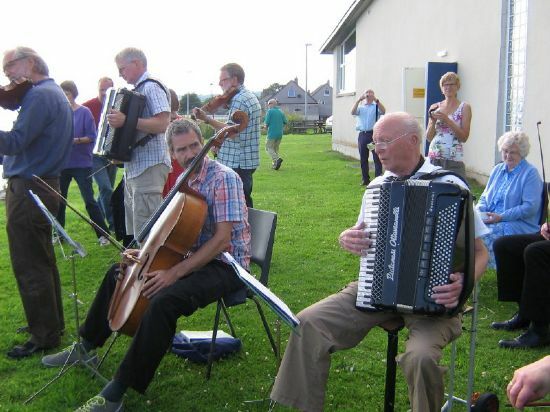 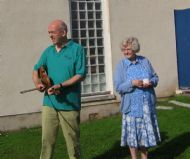 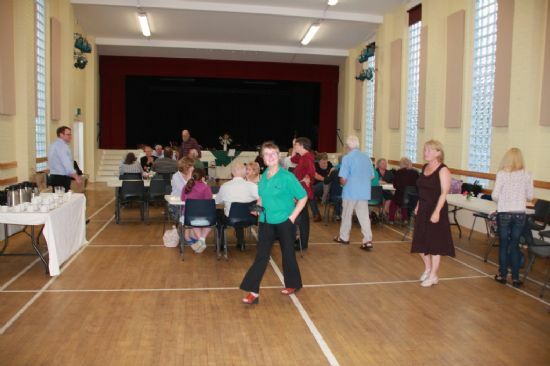 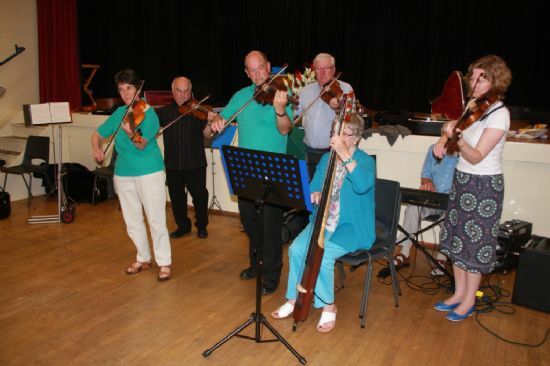 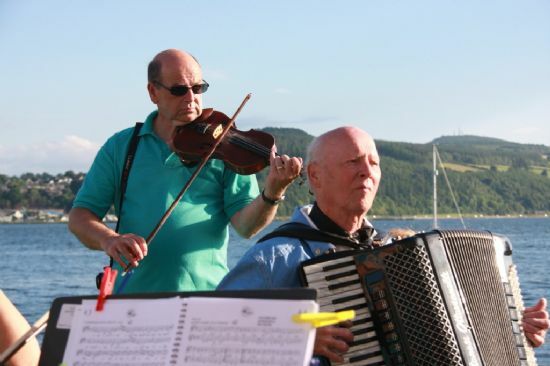 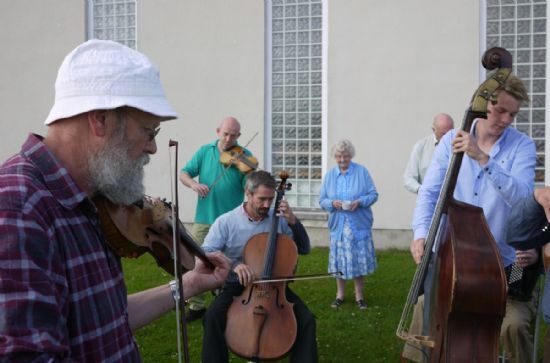 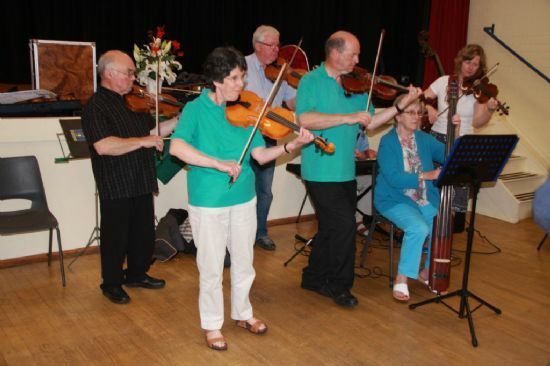 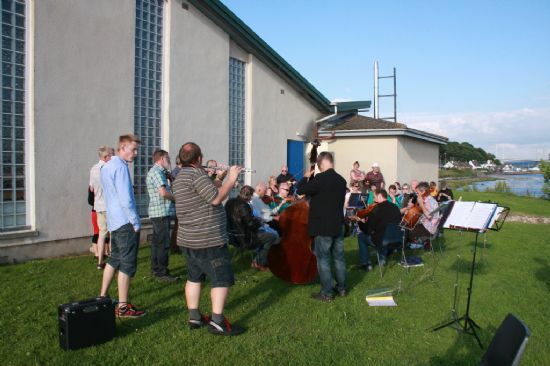 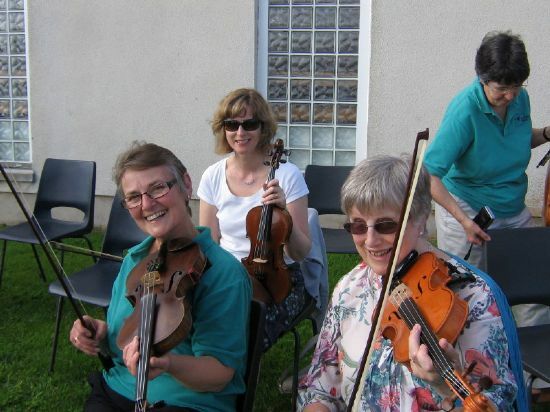 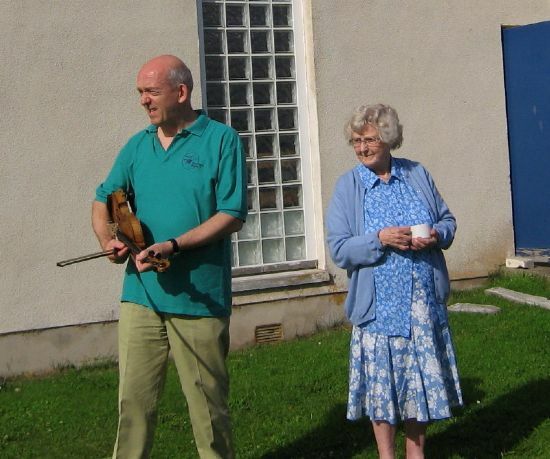 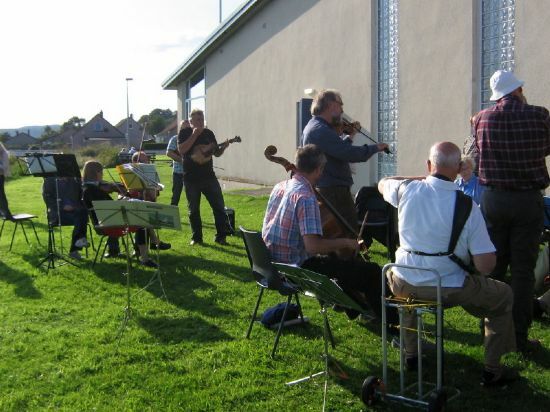 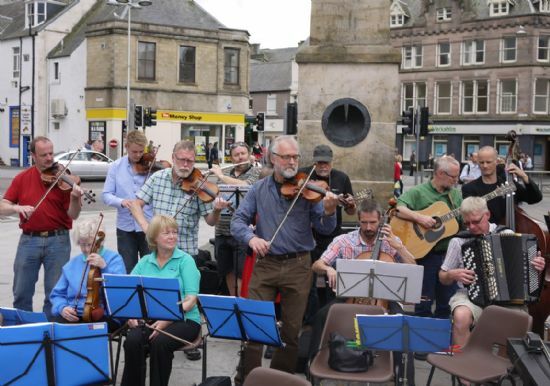 A well-received hour long outdoor concert was held in Falcon Square, Inverness, in the afternoon followed by tea and bakes at North Kessock Hall. 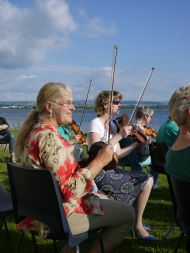 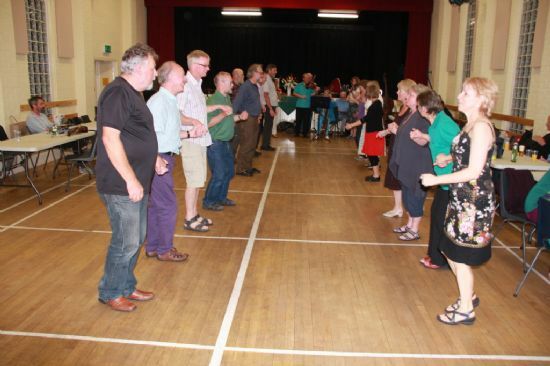 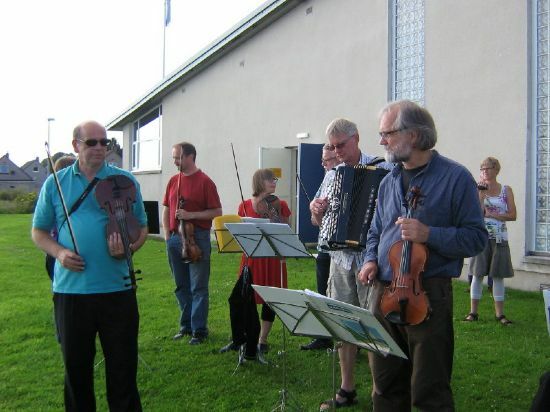 Further playing and socialising in North Kessock followed, much of it outside in the sunshine by the Beauly Firth, culminating in an excellent buffet spread provided by Inverness Fiddlers and catered by Artysans of Inverness. 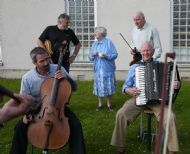 After this excellent feast, all were entertained by mutual music playing and in particular by learning each others traditional dances. 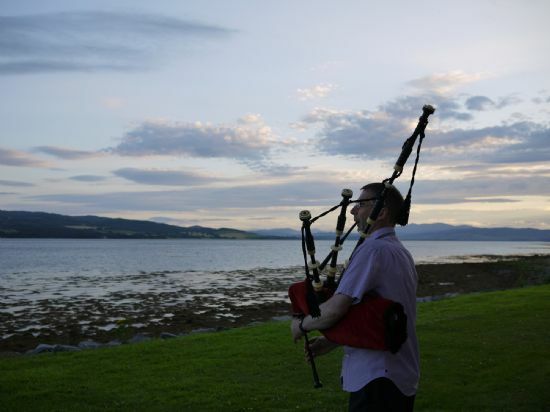 After a wonderful social evening, Simon drove the Danes back to Ullapool before heading home to the Black Isle in the wee sma' hours for a well-earned rest! 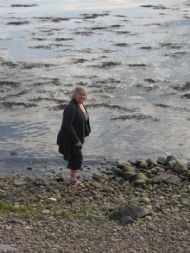 A Virginia Reel before heading home..
"Come on in, the water's lovely..."
"That can't be Simon on the moothie!" 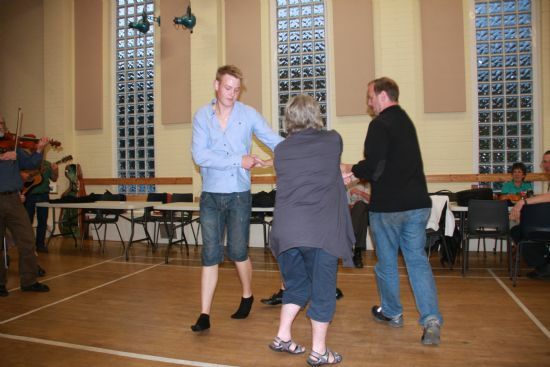 "Let's try facing the Hall this time"